Mrs. Williams graduated in 1981 from Miami University with a Bachelor of Science Degree in Education and received her Master of Science in Education from The University of Akron in 1991. She previously taught Kindergarten in Canton, Ohio and second grade for the Diocese of Columbus before staying home to raise her family. Recently, she has been a substitute teacher and tutor for students in the Medina County schools. Mrs. Williams has been married to her husband Marc for 33 years. They are the parents of five children: Christopher (daughter-in-law Bianca), Lindsay, Nicholas (daughter-in-law Molly), Matthew, and Patrick. Her greatest joy is spending time with her family. In her spare time, she also enjoys traveling, reading, writing, and outdoor activities. Mrs. Williams and her husband are members of Holy Martyrs Catholic Church. 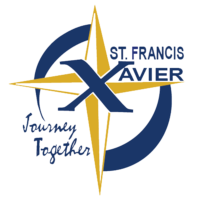 Mrs. Williams feels very fortunate to be a member of the St. Francis Xavier school staff. All of her children have graduated from the school and she is a strong supporter of Catholic Education and its academics, ideals, values, and beliefs.